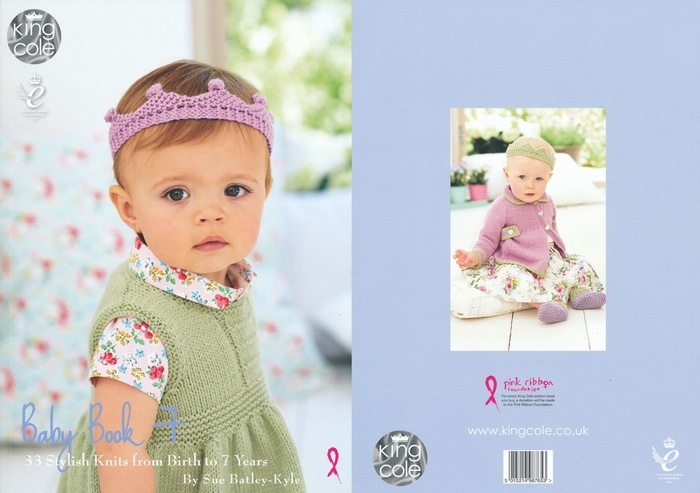 King Cole Baby Book 7.<br> Using a fabulous palette of shades from the Comfort DK Range.<br> Mulberry, Glacier, Stonewash, Porcelain, and Basil, Well known designer Sue Batley-Kyle has created a stunning collection of knits for babies and children. King Cole Baby Book 7. Using a fabulous palette of shades from the Comfort DK Range. Mulberry, Glacier, Stonewash, Porcelain, and Basil, Well known designer Sue Batley-Kyle has created a stunning collection of knits for babies and children.